Welcome to the SDAHYMNAL!. This is the only Church Website to find the complete hymnbook of the Seventh day Adventist Church. 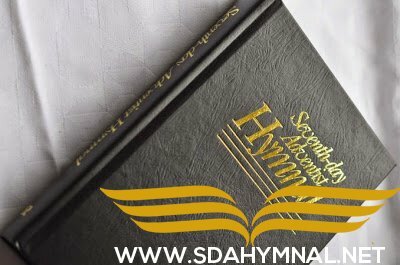 This SDA HYMNAL website has all of the hymns. As you know many of the Hymns are also used by other christian churches so it is also a good resource for other denominations such as baptists as well. Church music is such an important part of the worship so this complete bible of every hymn and response from the SDA HYMNALis included. We hope you find this church music software useful and that it helps you in your church music planning and bible study. Be sure to also check out our links to other sda websites and links to buy hymn books. If you find this Adventist Hymna useful, please be sure to share an Adventist hymn today and please also support us by following us on twitter and facebook and clicking the PLUS 1 button below. God Bless. 027 – Rejoice, Ye Pure in Heart! 037 – O Sing, My Soul, Your Maker’s Praise 038 – Arise, My Soul, Arise! 092 – This Is My Father’s World 093 – All Things Bright and Beautiful 094 – Nature With Open Volume Stands 095 – Spring Has Now Unwrapped the Flowers 096 – The Spacious Firmament 097 – Lord of the Boundless Curves of Space 098 – Can You Count the Stars? 438 – You Will See Your Lord A-Coming 439 – How Far From Home? 440 – How Cheering Is the Christian’s Hope 441 – I Saw One Weary 442 – How Sweet Are the Tidings 443 – There’ll Be No Sorrow There 444 – I’m a Pilgrim 445 – I’m But a Stranger Here 446 – Lo, What a Glorious Sight Appears 447 – Long Upon the Mountains 448 – O, When Shall I See Jesus 449 – Never Part Again 450 – Beautiful Zion 451 – Together Let Us Sweetly Live 452 – What Heavenly Music 453 – We Have Heard 454 – Don’t You See My Jesus Coming?